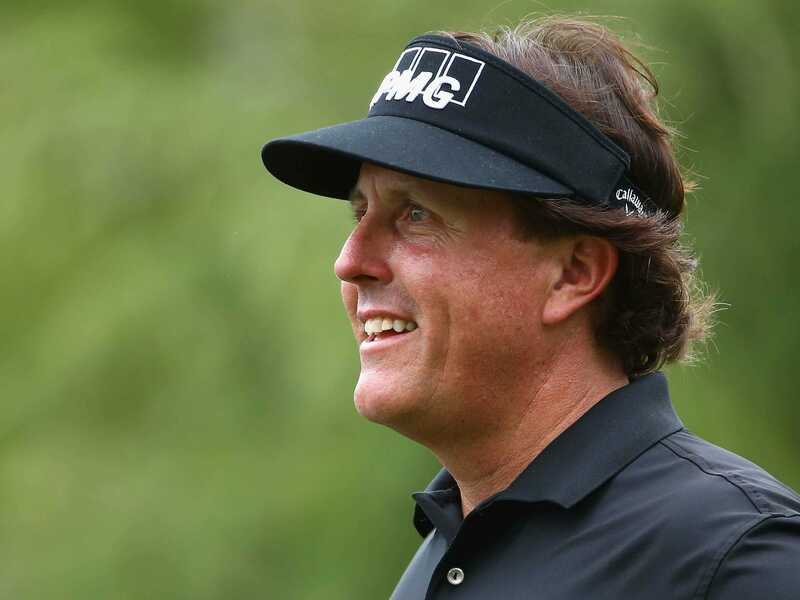 Mickelson told Tim Rosaforte of Golf Digest that he’s currently halfway to his goal of losing 20 pounds this offseason. “He’s basically on a paleo diet,” Cochran said. Mickelson is eating a diet of vegetables, fruits, protein, and some nuts. He’s not eating dairy, he’s cutting carbs and all processed foods, and he’s only consuming all-natural sugars. It’s similar to the diet LeBron James used to lose a significant amount of weight over a 67-day span this summer. The second part of Phil’s offseason plan — the part Cochran specialises in — is exercise. 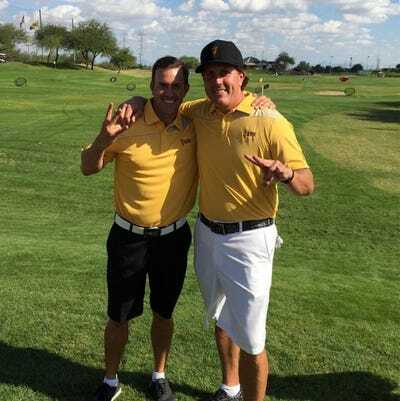 “Golf is a total body, feet-to-fingertips activity,” Cochran told BI, and he puts Mickelson through a workout that trains all the muscles from the knees to the chest. Mickelson works with Cochran four days a week for around 75 minutes. By design, the “high-density” workout is intense and short. Words like “myofascial release,” “plyometrics,” and “squat jumps” are not things the typically golf fan would associate with Phil Mickelson. But ever since Tiger Woods redefined the level of athleticism needed to be an elite golfer more than a decade ago, workouts like these have become an essential part of the sport. Mickelson didn’t play well in 2014. He missed the cut at the Masters. He didn’t win at all on the PGA Tour and only finished in the top-10 once — his lowest number of top-10s since 1992, when he only played six tournaments. His season ended with him getting benched at the Ryder Cup, which led to a public spat with captain Tom Watson. With only a 12-week offseason, he’s doing everything he can off the course to redeem himself in 2015.